Do your kids love headgear as much as mine do? Hats, scarves, headbands, dinosaur hats, they're all favorites. My girls jumped at the chance to make Valentine Crowns, and I'm guessing that yours will too. You can make this project as simple or as complicated as you'd like. 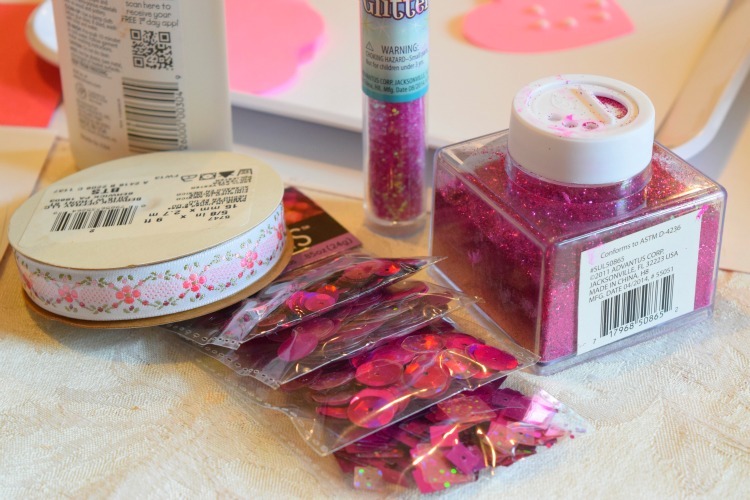 Use plain paper and scissors or add glitter and all the trimmings! Either way, you'll end up with super cute Valentine Crowns for your kids to wear! 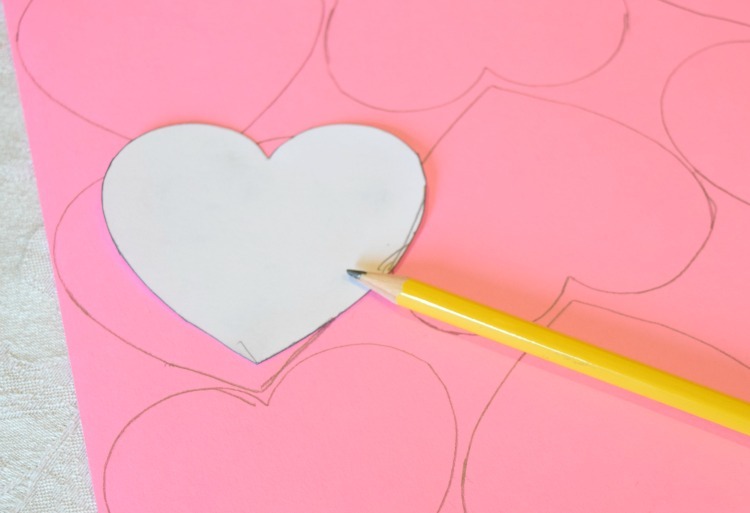 Print the heart template that has several sizes of hearts on one page. 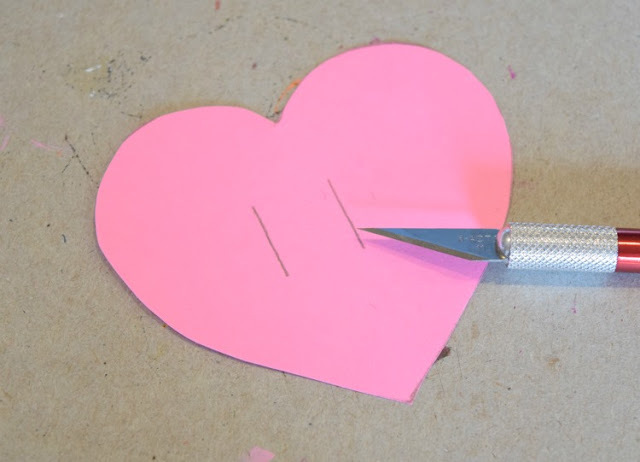 Cut out the second smallest heart (about 3" wide) and trace it several times on your pink and red construction paper. 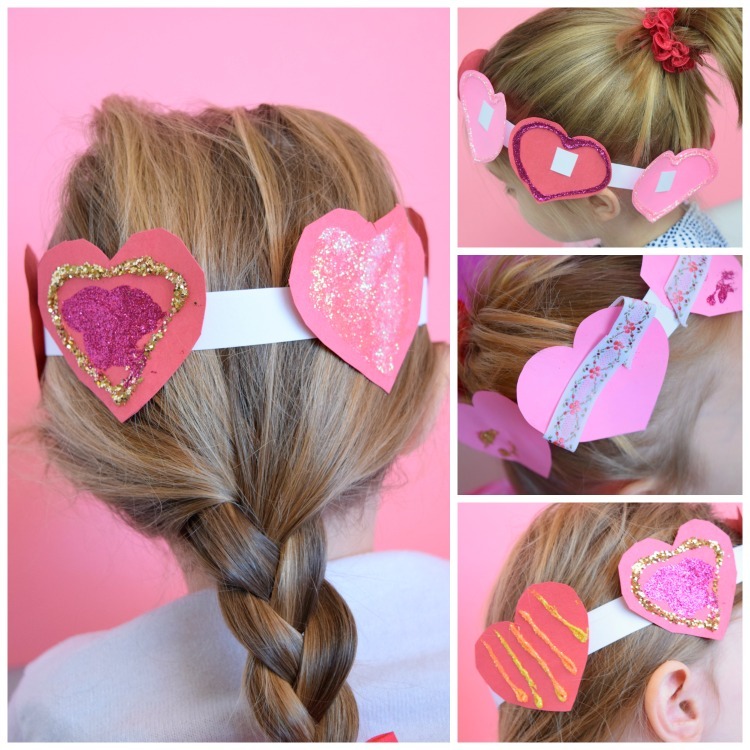 My girls' Valentine crowns ended up needing about 6 hearts each. 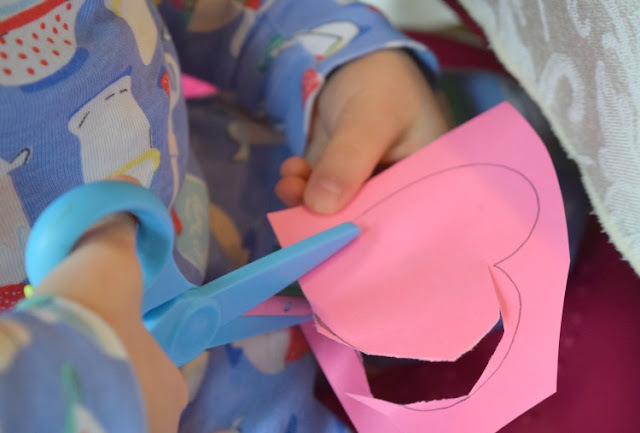 Cut out or let your kids cut out the hearts. For the simple (no mess) version of this project, use your craft knife and cut 2 small vertical slits in each heart. Make sure to put something thick, like cardboard, underneath so you don't slice your table! Next, cut two long strips of white cardstock (about 1/2" wide) and tape them together, making one long strip. Measure your child's head to see how long you need the headband to be and cut off the excess, leaving enough to eventually tape the ends together forming a circle. 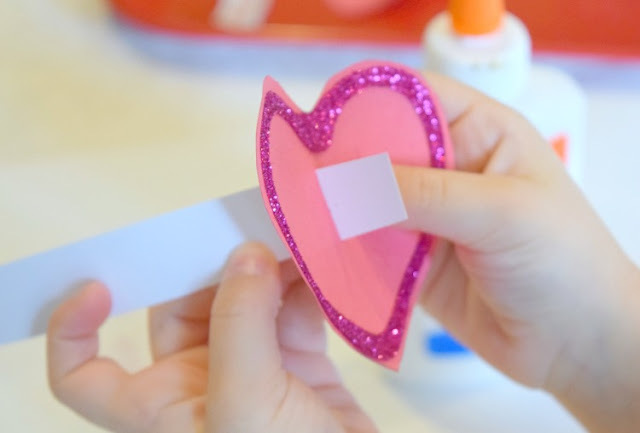 Let your child thread the white cardstock strip through the slits in the heart. They'll need some help to get the direction right (coming up from the bottom, across, and back down the other slit). Slide the hearts along the strip until you've got them where you want them. 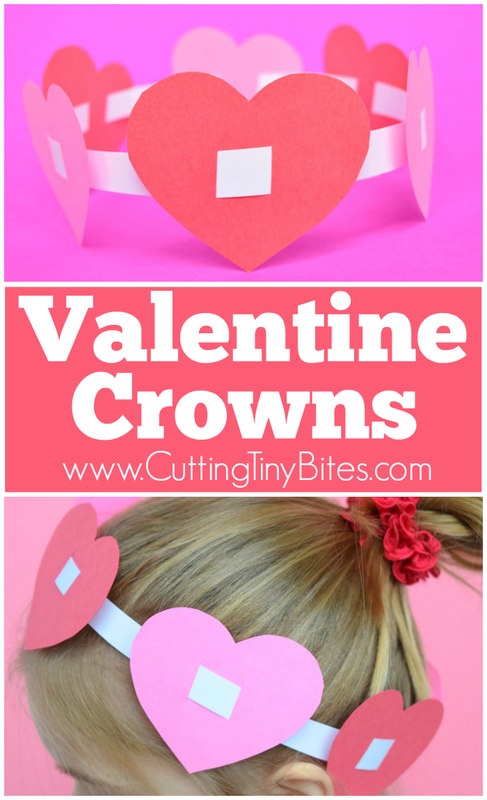 Of course MY children didn't want to make plain Valentine crowns! 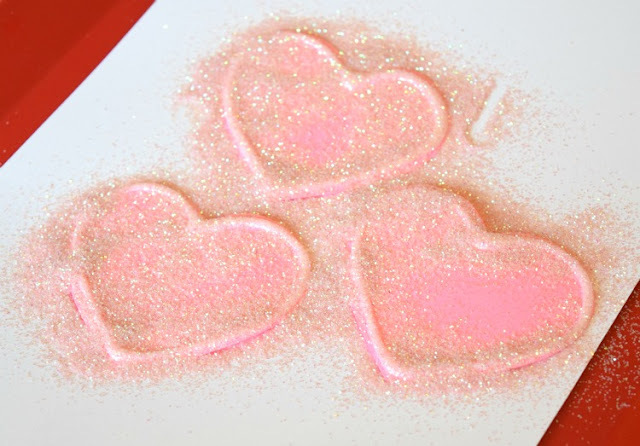 They immediately asked if we could add glitter and other decorations to their hearts. Sure thing, gals! We glittered them up big time! Then we set them aside to dry. 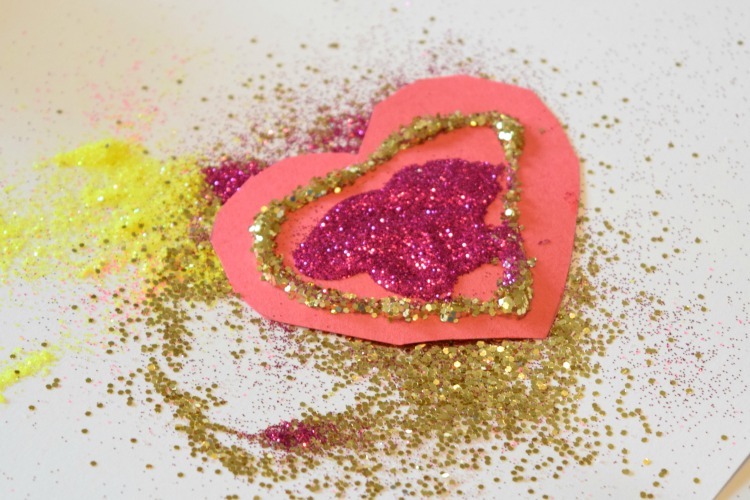 Mom's glittered hearts were a bit neater than the girls! 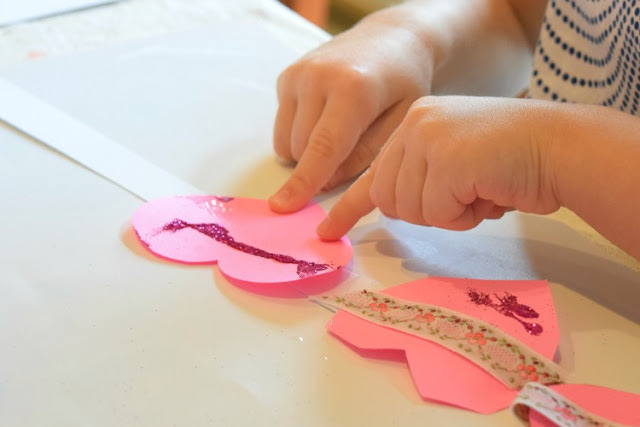 Once there was glitter all over the hearts, cutting slits to thread the hearts onto the headband posed more of a challenge. So we just glued them on. A little dot of glue in the center of the heart is enough to secure them to the crown. Once again, set your project aside to dry. Tape your crown into a circle and you're all done! There you have it! 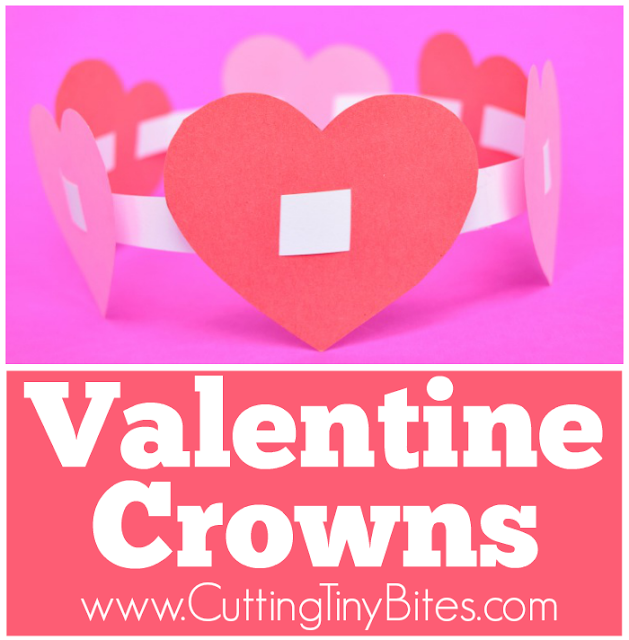 Valentine Crowns for loads of Valentine fun! 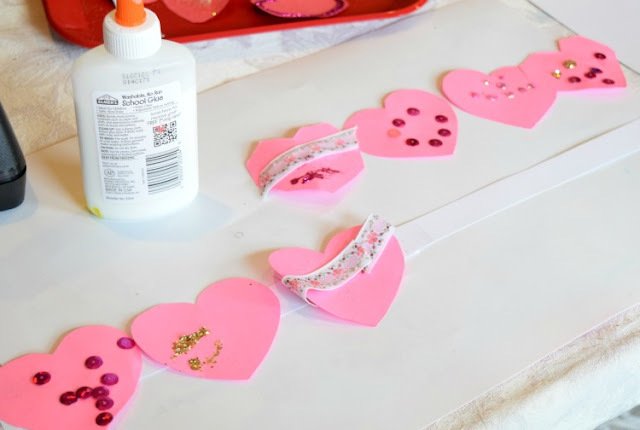 Valentine Do-A-Dot Printables from Crystal & Co.